When fast cash is needed, many property owners consider selling their cars. The cash that your car may bring in maybe the cash you need; but if you are like some car owners you can’t imagine a quick sale of your car. After all, you’ve sold cars in the past, and the sale was anything but quick, right? So, is there a way to a quick car sale? Cash 4 Cars of Adelaide offers the following information on how to Sell the Scarp Car quickly to get Cash you need today. When selling your car for fast cash, you need a car buyer at your disposal. Placing the car for sale in the classifieds will likely find you a buyer, but not today. So, what are your options? 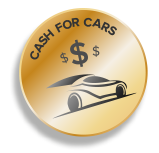 Your option for a fast car sale is to sell the car to Cash 4 Cars of Adelaide. We are a car buyer in Adelaide that buys cars and trucks over the phone and online. So, how fast can we get the cash to you for the sale of your car to us? Fast! We can have it to you today. We are a cash car buyer that is competitive with the prices ‘we offer for cars and trucks of all makes and condition’. We also have a fast car buying system that is as easy as picking up the phone and waiting for us to get to your location with the cash in our hand to buy your unwanted car. Contact us for a cash quote by calling us or visiting our homepage to complete our online quote form. Accept or reject our cash offer. If you’d like to shop around a bit more, just let our appraiser know you’d like to think our offer over. There is no obligation to accept our cash quote for your car or truck. Schedule a free car removal, Adelaide. We offer same day car removals so that you can be counting the Cash for your Car today. It is that simple to get your car sold. Give us a call at the number below or visit our homepage to complete our online “Get a Quote” form. With us, you get paid today for the sale of your car when the sale is to us! Call us at 0477 413 136.